Ryan Newman led the way for Stewart-Haas Racing in qualifying at Charlotte Motor Speedway, posting a quick time of 193.251 mph (27.943 seconds) in the No. 39 Quicken Loans Chevrolet Impala, good for third-place on the field in the Bank of America 500; Newman was one of three drivers, along with pole sitter Greg Biffle and Mark Martin, to break the old track record of 193.216 mph. The boss, however, didn’t have as good a time on Thursday night at NASCAR’s home track, as Tony Stewart qualified 32nd in the No. 14 Mobil 1/Office Depot Chevrolet with a speed of 189.587 mph (28.483 seconds). During Friday’s “happy hour” practice session, Newman had engine issues, forcing the team to change the engine in the No. 39 and relinquish its third-place starting spot. Prior to the engine problem, Newman was 19th-quick in the final session, while Stewart ran 12th. Dropping to the back of field was the No. 39 team’s undoing from the start, as Newman fought handling issues throughout the evening and couldn’t make up the spots he lost with the engine change. Just past the midway point of the race, Newman was a lap down to the field and never recovered, recording a 20th-place finish. Stewart made up for his poor qualifying effort with a 13th-place finish, this in spite of early problems on track. The nose of Stewart’s Chevrolet was damaged during a chain-reaction incident on Lap 16, resulting in three pit stops to repair the damage; quick work by the No. 14 crew kept their driver on the lead lap. Stewart would restart 36th following the repairs, but climbed as high as eighth in the field as he made up lost ground. Going into fuel conservation mode at the end of the race dropped Stewart back to 13th. 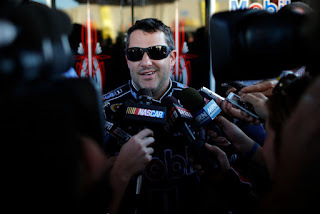 Stewart dropped one spot to eighth in the Chase for the Sprint Cup standings, 50 points back of leader Brad Keselowski. 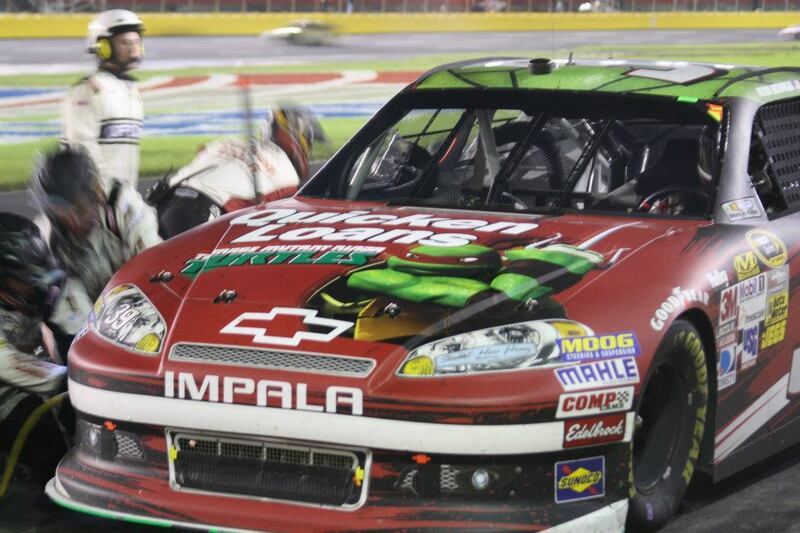 Newman remained 14th in points, 62 points behind 13th-place Kyle Busch.